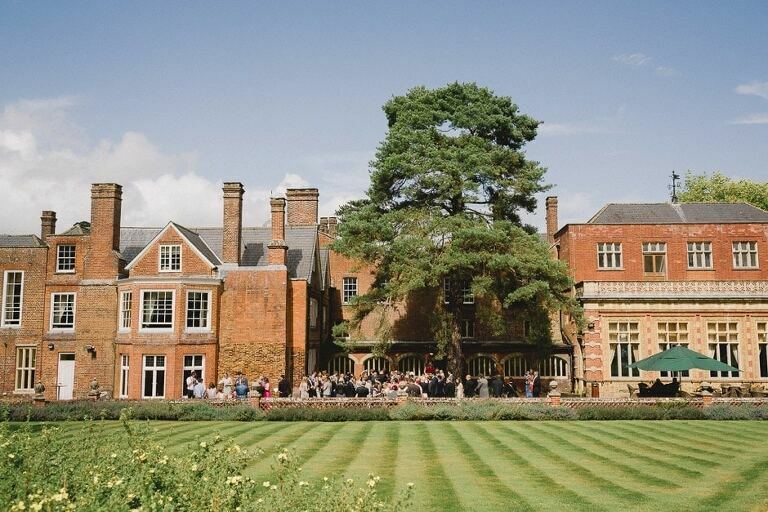 If you’re looking for somewhere impressive to hold your country wedding in Surrey, then Wotton House near Dorking has everything you’ll need for your big day. I’ve had a marvelous time here and really enjoy photographing weddings at this inspiring venue throughout the year. The impressive 17th century manor house boasts magnificent manicured grounds offering stunning spectacular backdrops which allow me to give full rein to my imagination, and provide you and your loved ones with a set of amazing photographs, successfully capturing the magic and excitement of your unique wedding day – and lovely memories to cherish for years to come. Wotton House is an imposing period building standing at the end of a long gravel driveway and is built of mellow red brick. There are thirteen acres of beautifully maintained grounds including an enchanted walled garden with a Roman-style temple. Also: sweeping lawns, mature trees providing welcome shade from the afternoon sun, borders full of attractive and colourful flowers and plants, mirrored ponds, babbling brooks and ornate bridges. This spectacular wedding venue has it all, and offers endless backdrops for your wedding photographs. You’ll find two distinctive places to choose from to celebrate with your family and your friends on this memorable day. There is no better place to exchange your vows than in the beautiful Old Library with its ornate welcoming fireplace, sweeping archways, traditional wood flooring, impressive vaulted ceiling and hand-painted detailing. 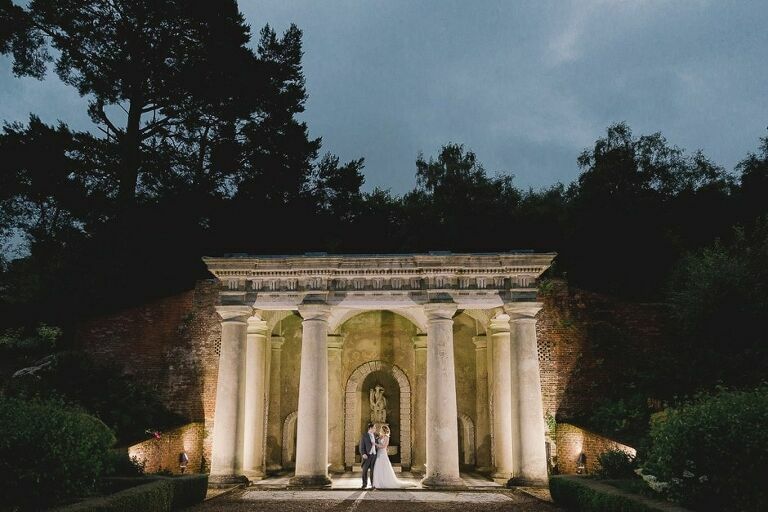 If your preference is for an outdoor ceremony, consider the ever-popular and enchanted walled garden with its temple, romantically lit by tea lights at night – again, an ideal photo opportunity. Why not relax with drinks and canapés for your guests in the Orangery bar, admire the many 17th century frescos and listen to the self-playing grand piano (guaranteed not to play a wrong note!) The recently refurbished Evelyn Suite offers a cheerful and contemporary place to celebrate, and has three sets of double doors leading directly outside into the magnificently landscaped gardens, and a side door to the fairy grotto. The photographic opportunities here are endless. For the evening reception, this venue can accommodate up to 250 guests to wine and dine from a menu of your choice that is sure to delight everyone. The manor house offers a complimentary bedroom suite for the happy couple, and preferential rates for their guests. 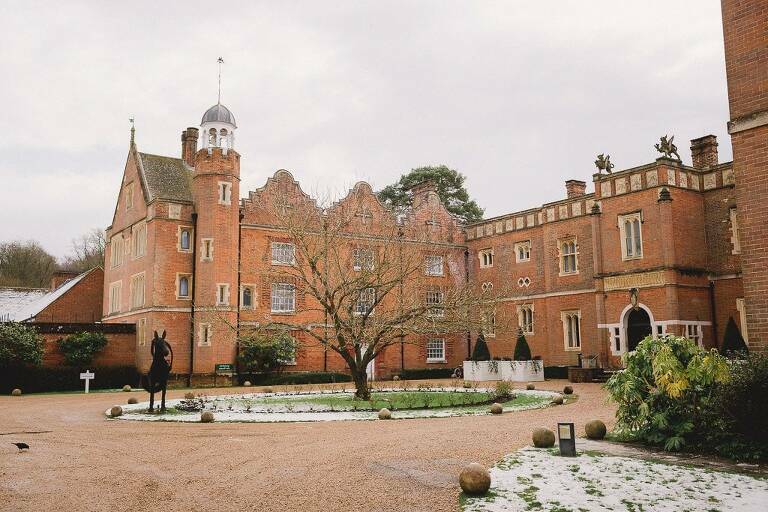 Address: Wotton House, Guildford Road, Dorking, Surrey RH5 6HS. 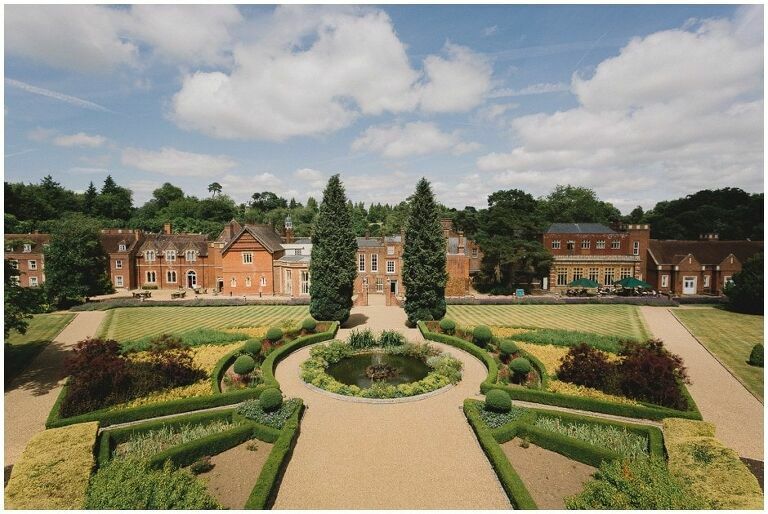 If you’d like to enquire about my availability for Wotton House please get in touch here.